Interact™ Technology. 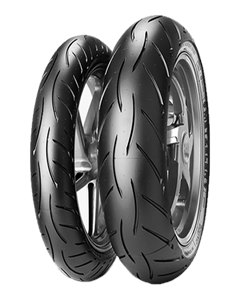 Five zone tension: the new tension layout ensures the best balance between mileage, high grip for sporty riding road riding and precision at maximum lean. Interact™. New generation of riding feeling: an incredible sense of confidence whilst at lean and easy to stand back up to allow maximum grip when exiting a corner.